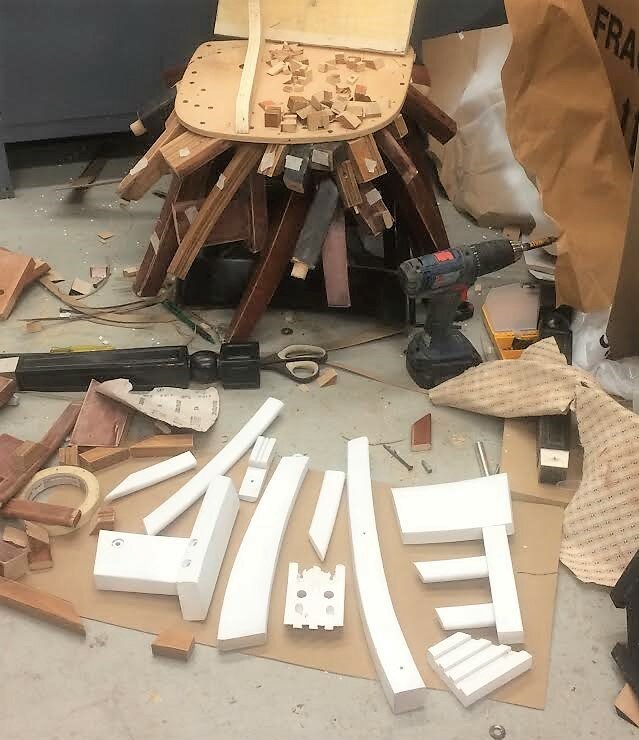 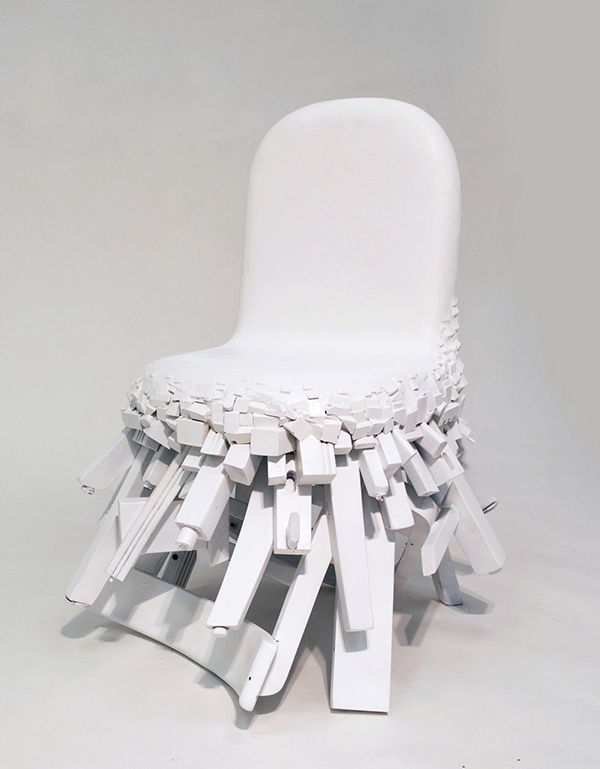 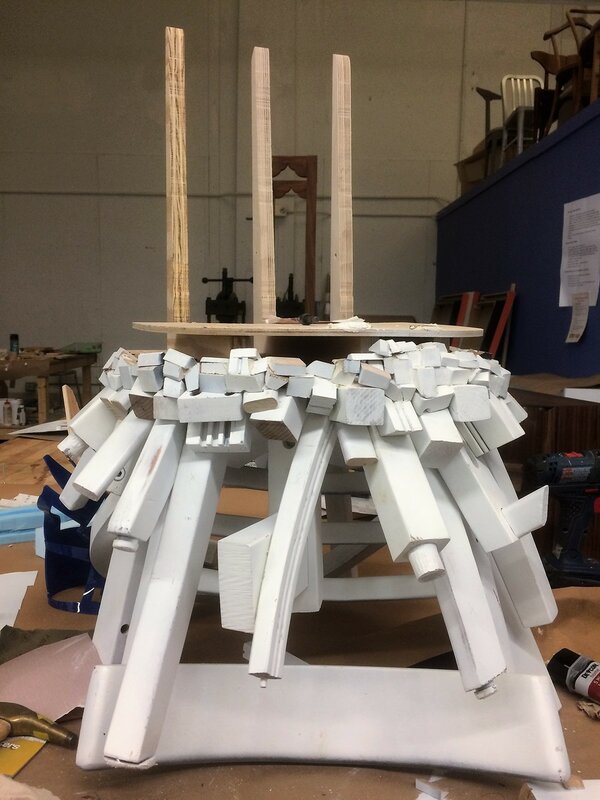 The Fused Chair is made of parts from five different broken or unwanted chairs. 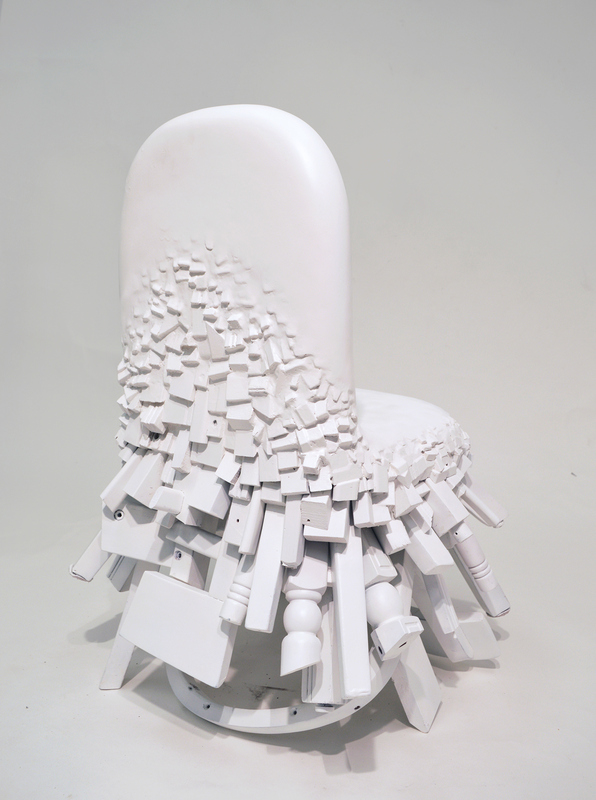 I painted them white, took them apart, chopped them into smaller and smaller fragments, and re-formed them into a smooth seating surface. 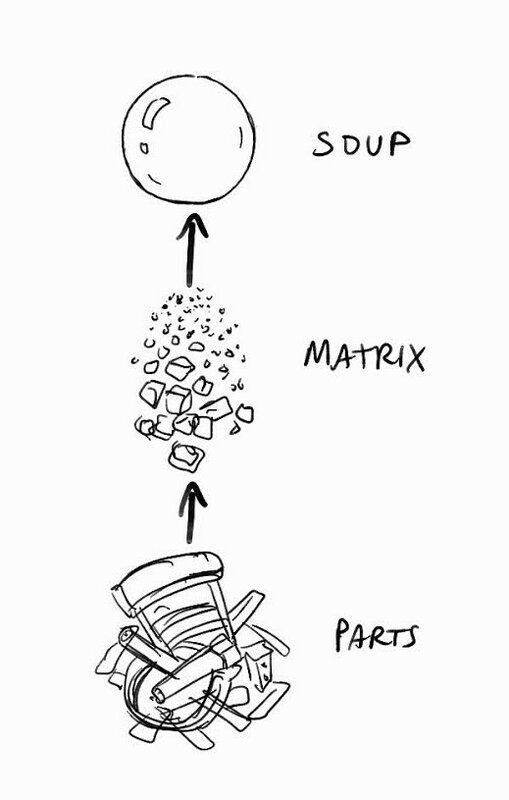 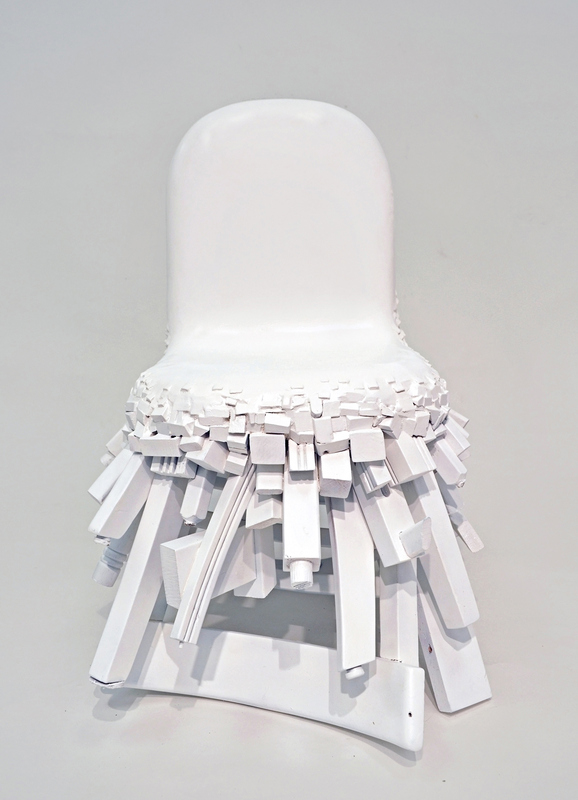 The chair represents a gradient of processing -- from distinct parts to an unrecognizable matrix to a homogenous soup. 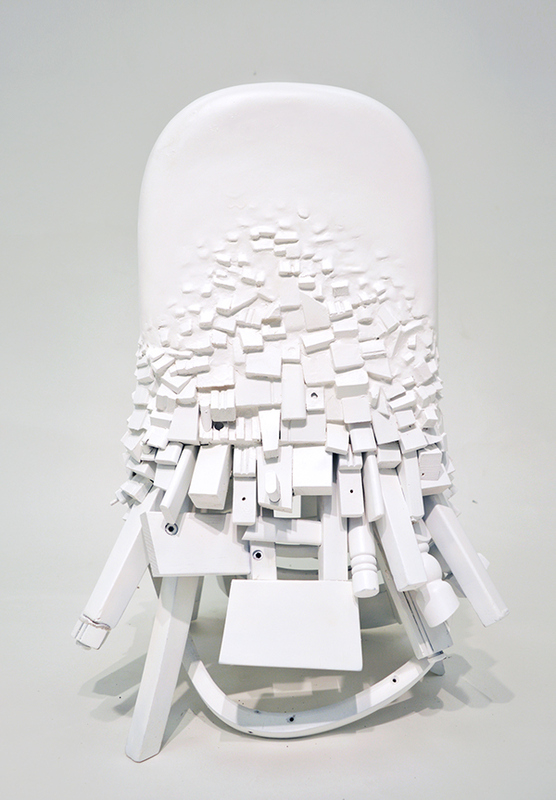 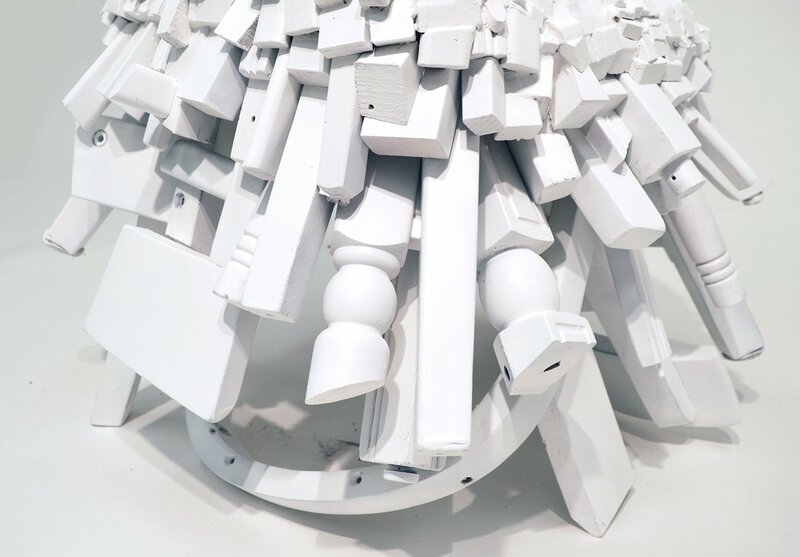 My work largely responds to changes in material and form from traditional wooden chairs to modern industrialized molded and amorphous 'blob' chairs.